Every girl dreams of feeling like a real princess, and a woman wants to be a real queen for her man. 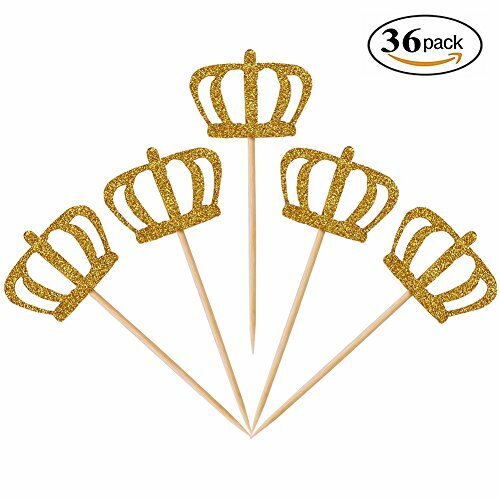 In this section, you can choose a variety of toppers in the form of golden crowns, which can become a magnificent decoration of any holiday. If you decide to organize a royal wedding, then we can offer you gold cards – invitations. They are also suitable for a birthday, baby shower, and other parties. If you expect a large number of guests, order sets of toppers from 24, 36 or 40 pieces. 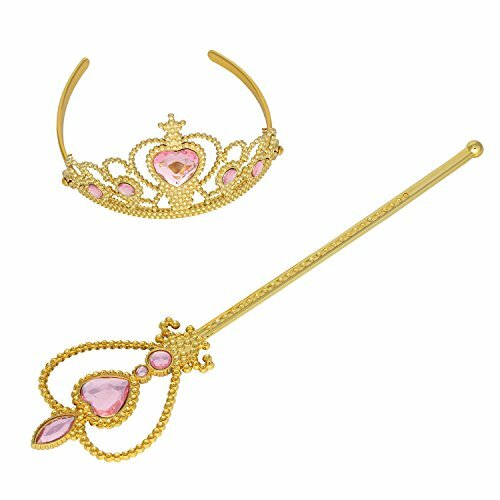 If you like gentle jewellery, pay attention to Towashine gold small princess crown with crystal faux pearl. Soon the first birthday of your baby? We have a great set of toppers with a number 1 and a crown at the top. Bright and shiny toppers will add shine to your party. They are in pink and blue colour. 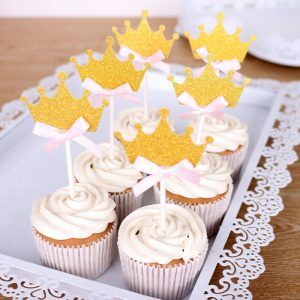 For the holiday of your princesses, you can order crowns for cake. This is an original masterpiece of handmade work to wonder your guests. 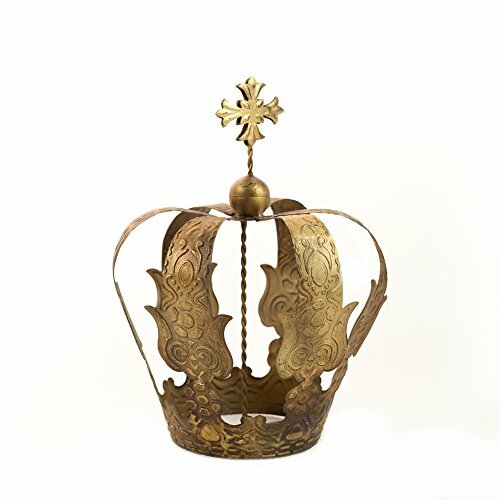 We have many toppers with crowns and inscriptions, such as “One,” “Quince,” “Sofia” and others. 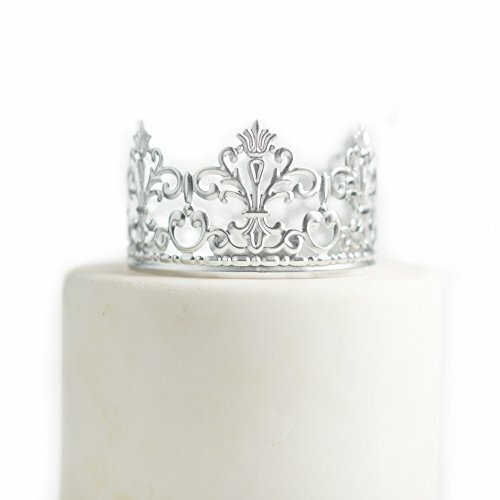 Poplife vintage crown – this is an ideal option for a wedding cake, as well as cakes in honour of the prom. Pensoda gold vintage blood is a great for a birthday cake, fantastic for a baby shower, for photography with a baby and decoration for a dancing party. 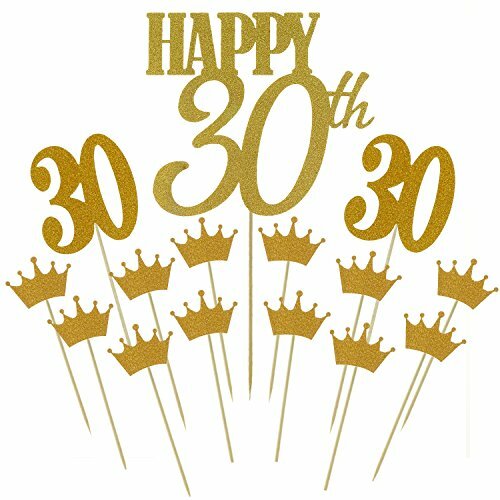 Do you have an anniversary of 30 years? 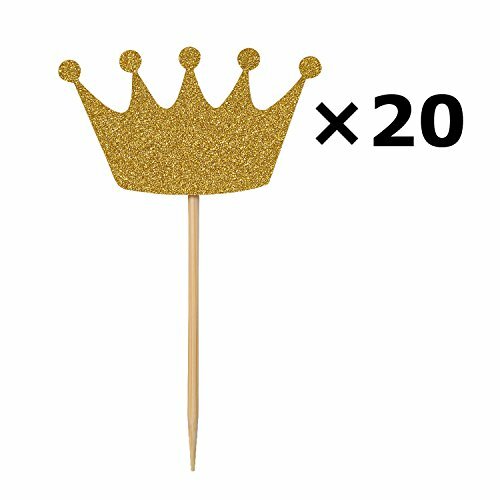 Then we propose a set with the inscription “Happy 30” and a set of gold crowns for cupcakes. 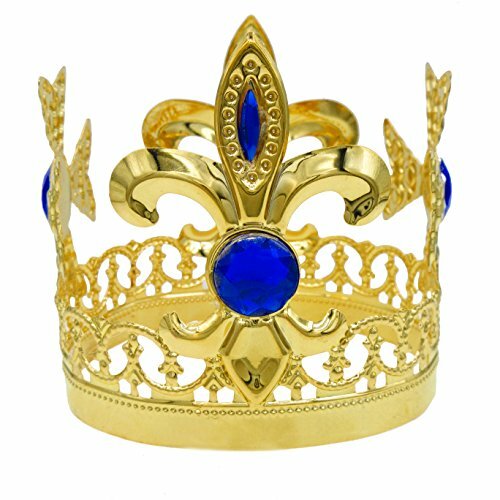 Want to add colours, order a set of brilliant yellow and blue crowns and hearts. 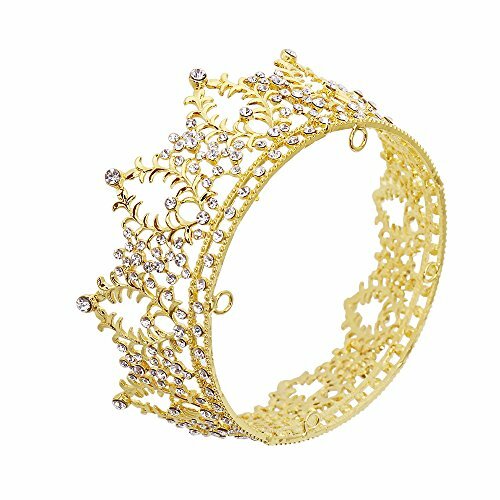 The golden tiara and crown will decorate your princess and make her the real queen of the holiday. 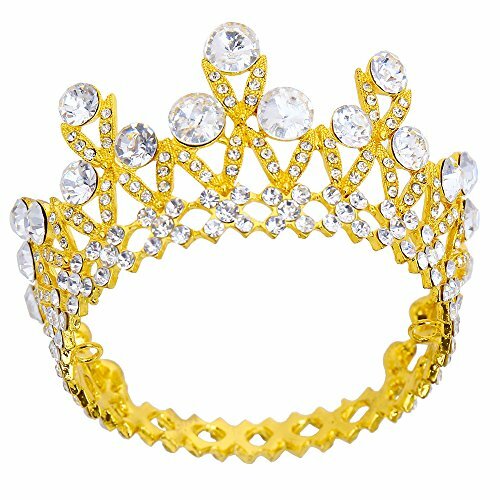 If your princess likes rhinestones, select the crown of Yacanna gold bling crystal. This and many more toppers in this topic, we can offer you. Everything is only better quality for you. 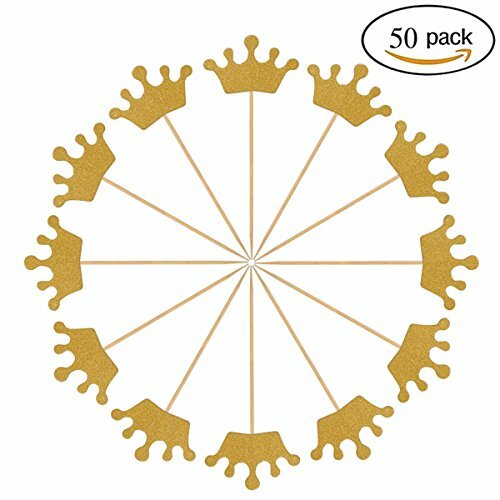 30pcs Packaged Gold Crown in a clear bag for protection. Each topper is hand-crafted with care and sure to stand out! These toppers are single sided: gold glitter front, white back. 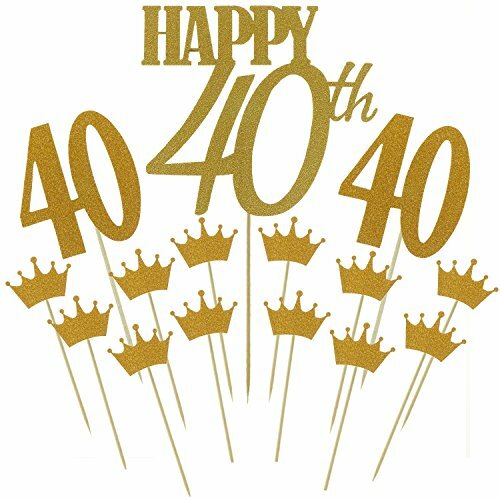 Package included: 40 pieces Cupcake Toppers. This product is DIY products, total with 40 toothpicks and 40 Dotted glue, you can enjoy the fun of DIY. 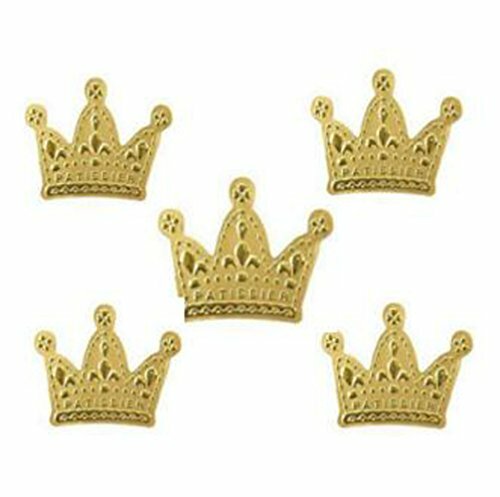 Crown size 4*3cm/1.57*1.18 inch, gold. The cupcake toppers are for decoration purposes only, not edible and please do NOT place in oven. 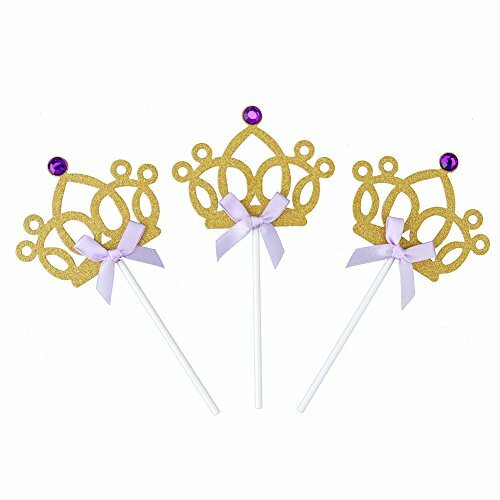 Special Purple Bright Color Will Draw All Guests' Attention, Your kid Is The Center In The Whole Birthday Party Perfect For Your Special Party! Also Use As A Photo Booth Prop. High Quality Acrylic Material，No Burr Left, No Worry About Any Component Missing In The Cake. 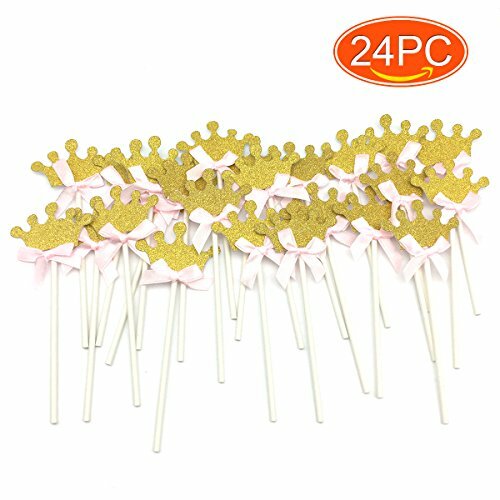 Particularly suit to sever on birthday party decor, baby shower, golden wedding, cake decorations of graduation. 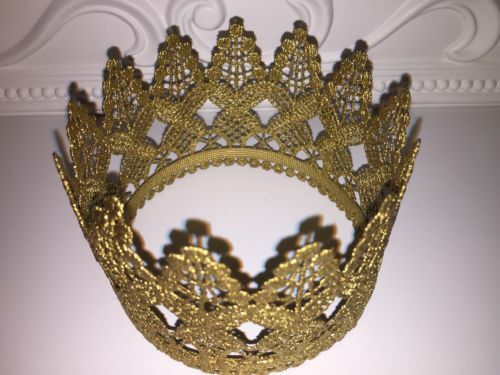 Unique design: Princess Gold Glitter Crown. Dimensions: 4.9 x 1.9 inches. ❉ Material: Wooden+Paper ❉ Quantity: 1Bag(10Pcs) ❉ Each topper is hand-crafted with care, make your cakes or snacks look as yummy as they taste. Superior Material: Made of Food Safe Acrylic with Gold Size: Approx.6.7-inch Height x 5.9-inch Width. Perfect for 6 to 10 Inches Birthday Cakes. The Product Can Be Reused and Be Handwashed. 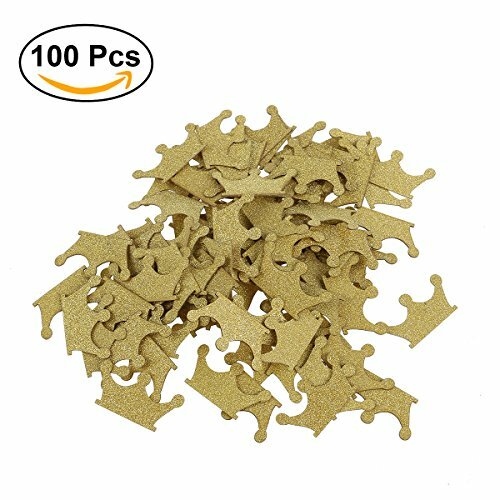 Material: Metal+Rhinestones Color:Gold size:9*9cm£¨3.54"*3.54") Suitable for baking shops, cake shop,birthday,wedding,party supplies,show,headband decorative,festival decoration,present,etc. 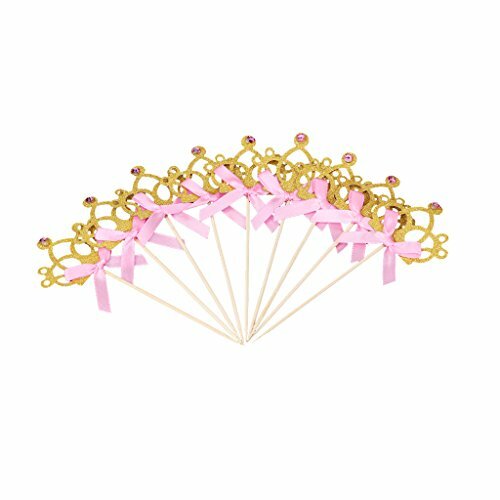 FOR MANY OCCASIONS - This fantastic hair accessory is perfect for birthday cake,weddings, proms, parties , costume, cosplay, photography prop or any occasions you want to be more charming. MATERIAL - Zinc Alloy,Rhinestone,Crystal. 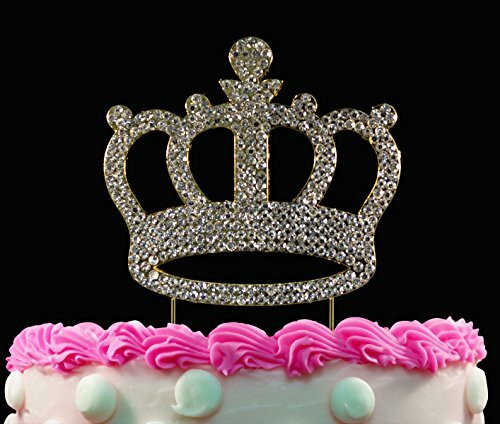 PREMIUM - A Perfect crown cake topper for your unforgettable birthday party or wedding.Not just a crown,but a promise. HANDMADE and PREMIUM - It is the workers that take two hours for each product to inset 233 crystal rhinestone. Not only a cake topper, but also contains blessing for life. This fantastic top of a wedding cake is perfect for weddings, proms, parties , costume, cosplay, photography prop or any occasions you want to be more charming. 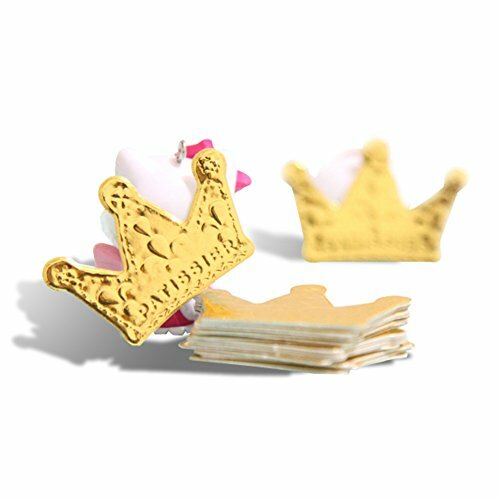 DELUXE BABY SHOWER CAKE DECORATION - The crown party decoration is made by gold-plated zinc alloy material,inset with high quality crystal rhinestone. 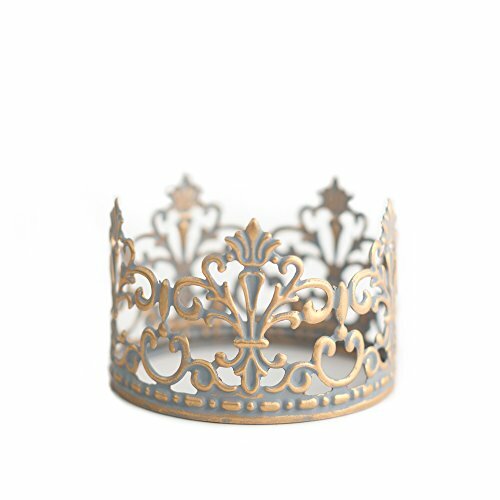 DELICATE AND LIGHTWEIGHT - The crown cake topper measures approx. 3.4 inches in width and 1.6 inches in height. Material: 55% Zinc Alloy, 45% Rhinestone. 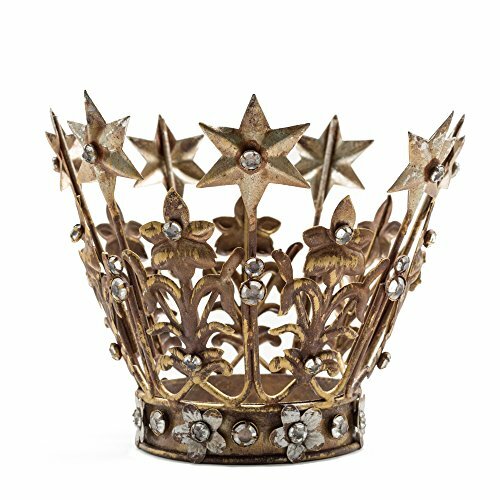 The crown is a bit heavier when you grab it since all the composition is real metal and sparkling crystal. But perfect suit for cake as a decoration Size : 1.7 inches height, 3.9 inches width. 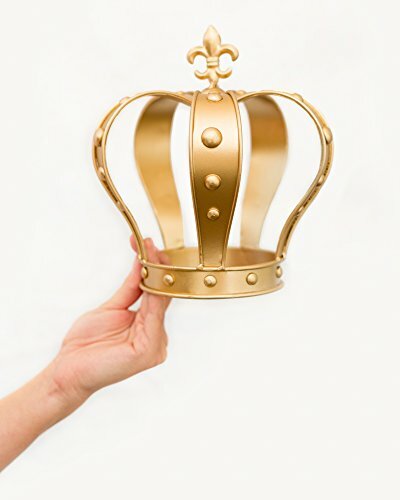 The crown will looks a smaller then the common ones, it specially made for 6 inches above cake decoration. Meanwhile, it is also quite suit for our little princess as a head decoration. Package: One piece of crown wrapped with bubble bag, will be securely protect it from damage during the transportation. 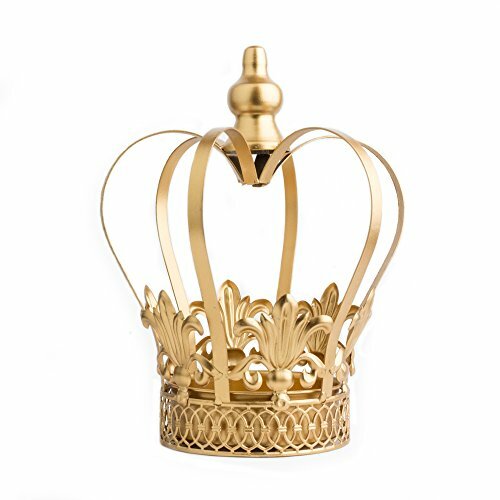 We are all hope the gift you will receive is well done without any flaw, for any questions regard the quality and products, please feel free to contact our crown team at Amazon. GOLD CAKE TOPPER - Gorgeous on top of a wedding cake. 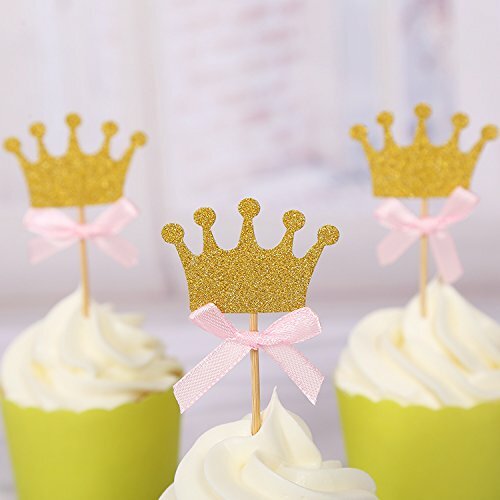 Perfect for bridal shower, baby shower, first birthday party, prince or princess cakes, quinceanera, royal or king themed parties, baptisms and christenings. SIZE - Measures roughly 6 inches across the top and and 5 inches tall (3.5 inches across at the base). 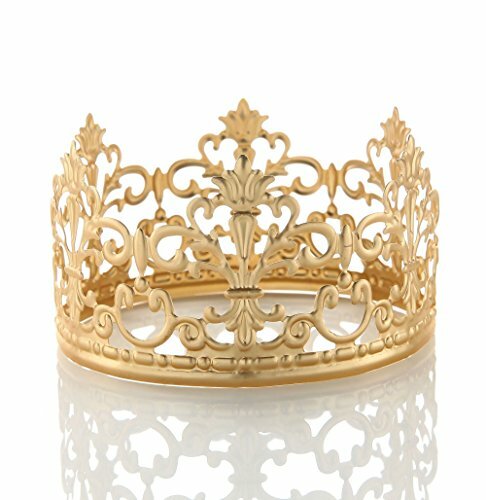 A UNIQUE GIFT - Who doesn't love a crown? Perfect gift for teachers, mom, daughters, girlfriends. Great hostess gift for the holidays. 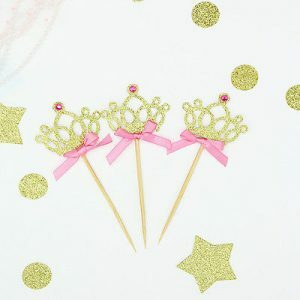 Sticks: paper,13cm(L) Crown:Gillter paper,7cm(L)*5.3cm(W) Materials: bamboo toothpick, hight quality cardstock with a glitter paper. Each topper is hand-crafted with care, quality assurance; make your cakes or snacks look as yummy as they taste. 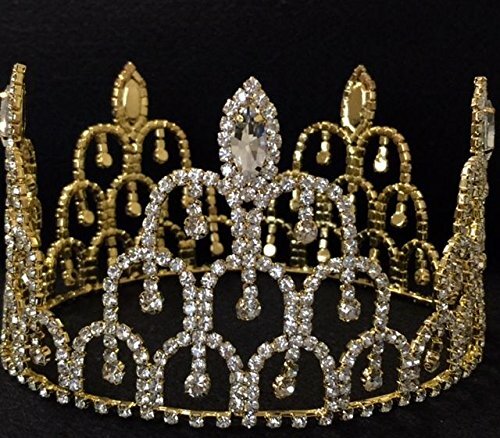 Unique design: Gold Glitter Crown Princess. Particularly suit to sever on birthday party, baby shower, other theme parties. 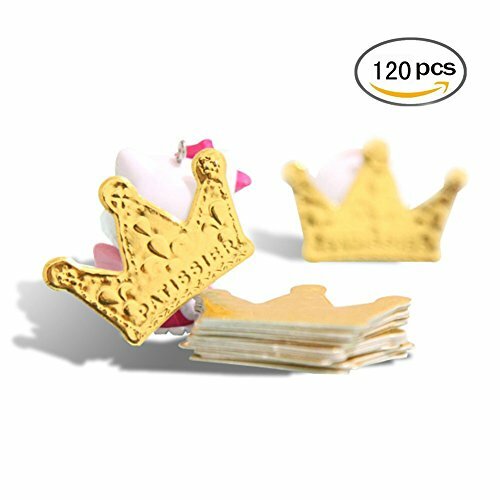 Material: Upgrade EVA material, thick glittery cardstock, high quality. 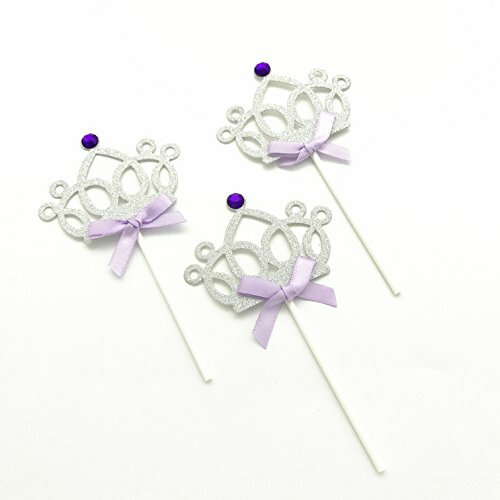 BEAUTIFUL ON YOUR CAKE - Perfect for christening decor, prince themed cakes or wedding cake topper. HIGH QUALITY - Measures 5.5 inches across at widest point, 3.5 inches across at base and 8 inches tall. Weighs 4 oz. 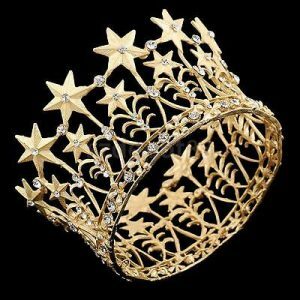 A UNIQUE GIFT - Who doesn't love a crown? Perfect gift for Teachers, Mom, Daughters, Girlfriends. 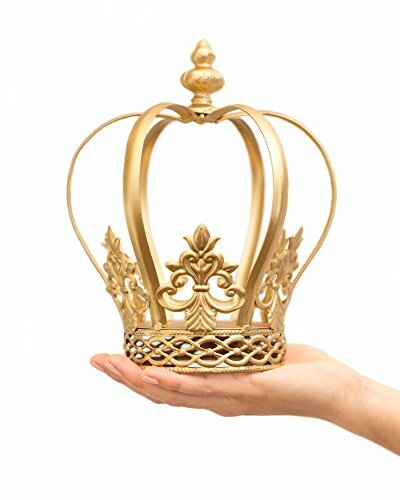 GOLD CROWN CAKE TOPPER - Use as a centerpiece or place on top of a wedding cake. Perfect for bridal shower, baby shower, first birthday party, prince or princess cakes, gender reveal party, quinceanera, royal or king themed parties, baptisms and christenings. SIZE - Measures roughly 8 inches tall and 6.5 at widest point across (4 inches across at the base). Weighs 11.2 oz. This crown has an solid flat bottom. A UNIQUE GIFT - Who doesn't love a crown? Perfect gift for teachers, mom, daughters, girlfriends. 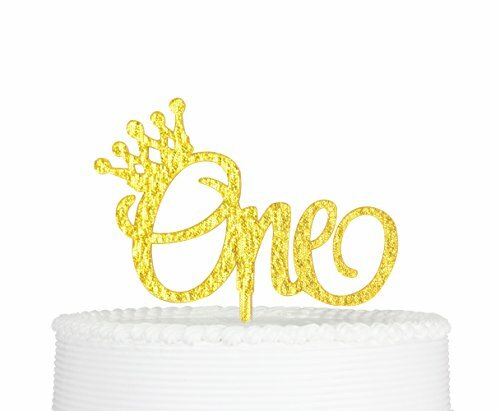 GOLD CROWN CAKE TOPPER - Use as a centerpiece or place on top of a wedding cake. Perfect for bridal shower, baby shower, first birthday party, prince or princess cakes, gender reveal party, quinceanera, royal or king themed parties, baptisms and christenings. SIZE - Measures roughly 7.5 inches tall and 6 at widest point across (4.25 inches across at the base). Weighs 10.7 oz. This crown has an open bottom. A UNIQUE GIFT - Who doesn't love a crown? Perfect gift for teachers, mom, daughters, girlfriends. MINI GOLD and SILVER CAKE TOPPER - Gorgeous on top of a small wedding cake. Perfect for bridal shower, baby shower, first birthday party, prince or princess cake, gender reveal party, quinceanera, royal or king themed parties, baptism and christening. DELICATE AND LIGHTWEIGHT - Measures 3.25 inches across, 2.25 inches tall. Weighs 1 oz. Made of metal. A UNIQUE GIFT - Who doesn't love a crown? Perfect gift for teachers, mom, daughters, girlfriends. Great hostess gift for the holidays. SMALL GOLD CAKE TOPPER - Gorgeous on top of a wedding cake. Perfect for bridal shower, baby shower, first birthday party, prince or princess cakes, gender reveal party, quinceanera, royal or king themed parties, baptisms and christenings. DELICATE AND LIGHTWEIGHT - Measures 4 inches across, 2.25 inches tall, circumference of 12.5 inches. Not edible (made of metal). Weighs 1.2 oz A UNIQUE GIFT - Who doesn't love a crown? Perfect gift for teachers, mom, daughters, girlfriends. Great hostess gift for the holidays. SMALL SILVER CAKE TOPPER - Gorgeous on top of a wedding cake. Perfect for bridal shower, baby shower, first birthday party, prince or princess cakes, gender reveal party, quinceanera, royal or king themed parties, baptisms and christenings. DELICATE AND LIGHTWEIGHT - Measures 4 inches across, 2.25 inches tall, circumference of 12.5 inches. Not edible (made of metal). Weighs 1.2 oz A UNIQUE GIFT - Who doesn't love a crown? Perfect gift for teachers, mom, daughters, girlfriends. Great hostess gift for the holidays. LARGE GOLD CAKE TOPPER - Gorgeous on top of a wedding cake. 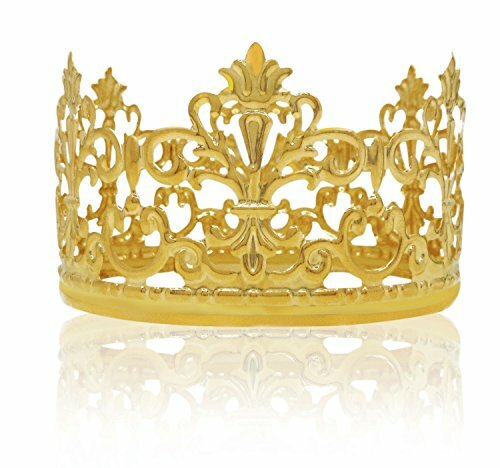 Perfect for bridal shower, baby shower, first birthday party, prince or princess cakes, quinceanera, royal or king themed parties, baptisms and christenings. SIZE - measures roughly 9 inches across the top and and 5.25 inches tall (6 inches across at the base). 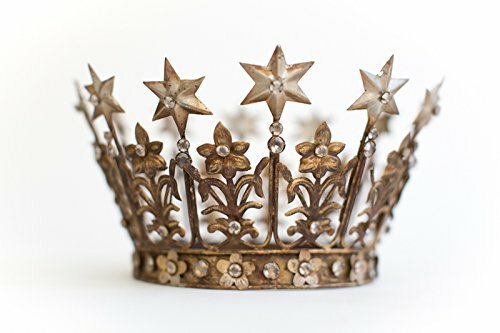 A UNIQUE GIFT - Who doesn't love a crown? Perfect gift for teachers, mom, daughters, girlfriends. Great hostess gift for the holidays. 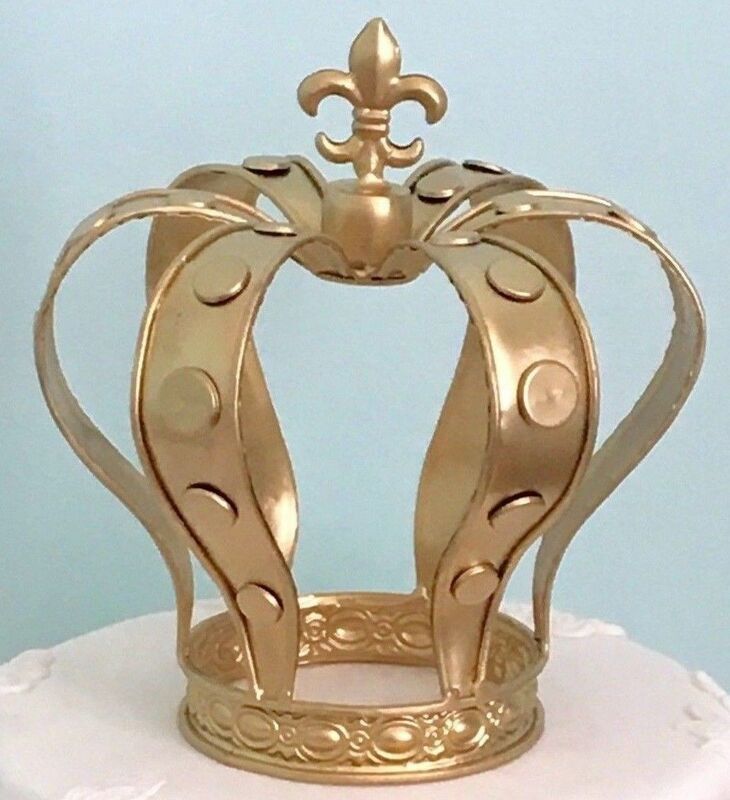 GOLD CROWN CENTERPIECE - Fleur-de-lis design. 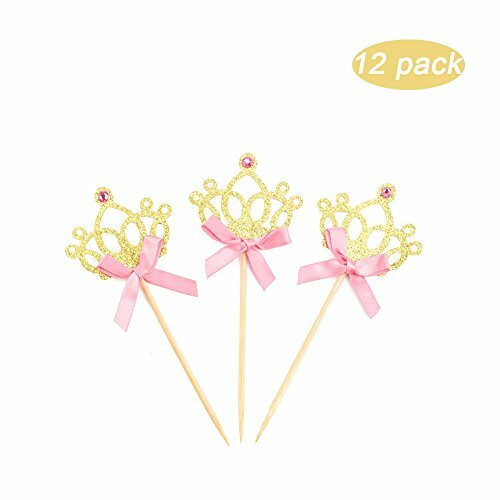 Perfect for wedding centerpieces, bridal shower, baby shower, birthday party, prince or princess parties, quinceanera, royal or king themed parties, baptisms and christenings. SIZE - Measures roughly 9.25 inches at widest point and is 12 inches tall (5.5 inches across at the base). Weighs 1 lb, 2 oz. This crown has a solid flat bottom with removable tray. Fill with flowers for a lovely centerpiece, can also be used as a cake topper for a large cake. 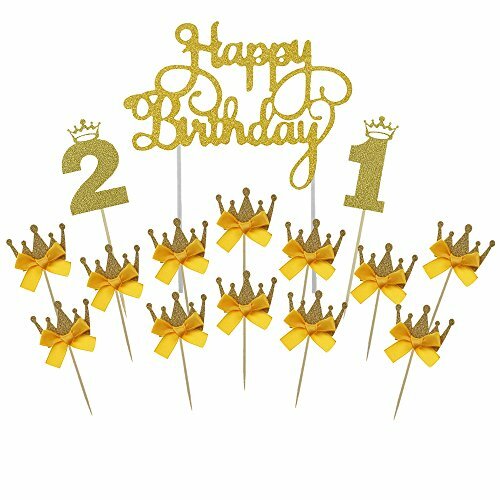 12 or 21th Birthday Party Decorations Supplies -- Paper cupcake cake toppers includes 1 x "Happy Birthday" monogram cake topper, 1 x "1" and 1 x "2" number cupcake toppers, 12 x crown cupcake picks with bow. 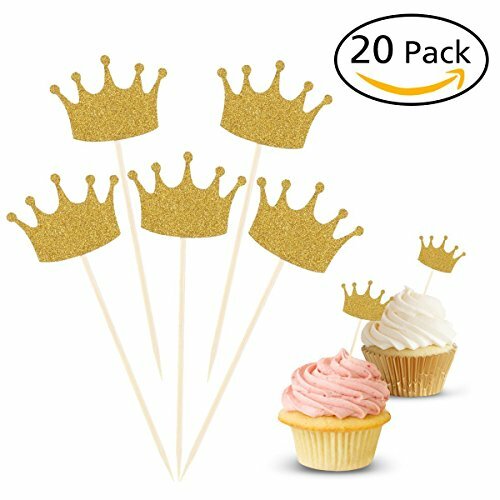 Glitter Cupcake Cake Toppers Bright Colors -- Gold cake topper is single sided golden onion paper topper, the back is white, elegant design will diffuse romance and elegance from every little detail. 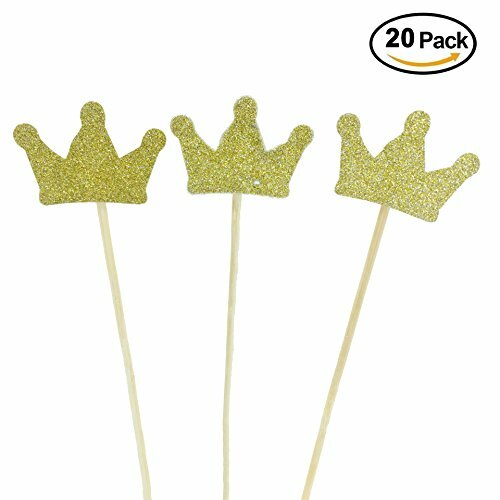 Gold Birthday Cake Topper Perfect Display -- These Cake Topper Sticks / food picks size are the perfect support to your food display. 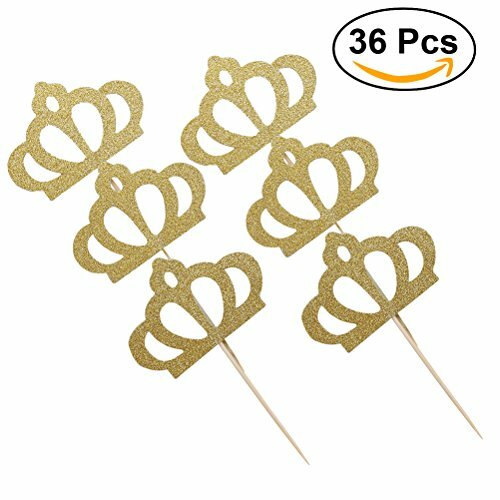 18th Birthday Party Decorations Supplies -- Paper cupcake cake toppers includes 1 x "Happy Birthday" monogram cake topper, 1 x "1" and 1 x "8" number cupcake toppers, 12 x crown cupcake picks with bow. 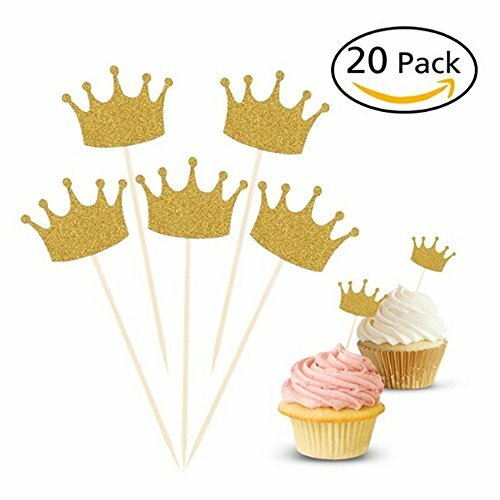 Glitter Cupcake Cake Toppers Bright Colors -- Gold cake topper is single sided golden onion paper topper, the back is white, elegant design will diffuse romance and elegance from every little detail. 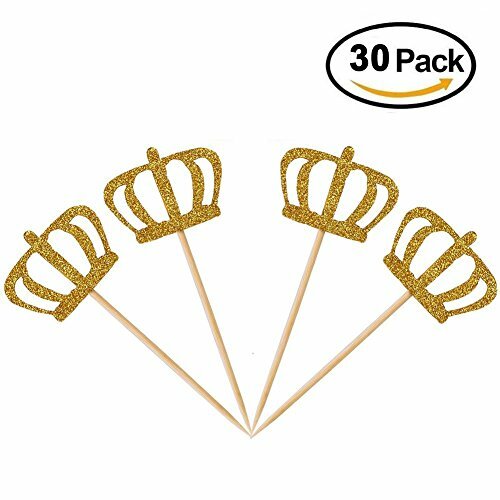 Gold Birthday Cake Topper Perfect Display -- These Cake Topper Sticks / food picks size are the perfect support to your food display. 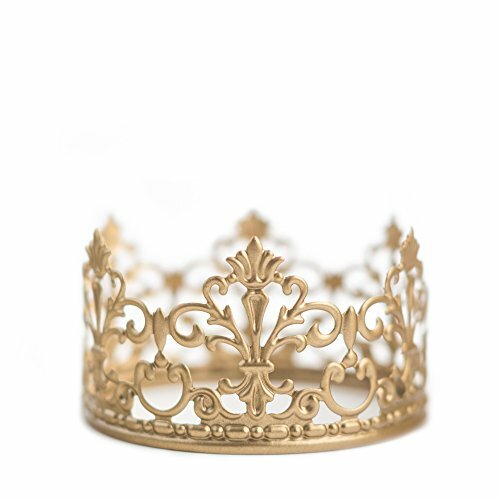 Hand made 4″ gold crown. 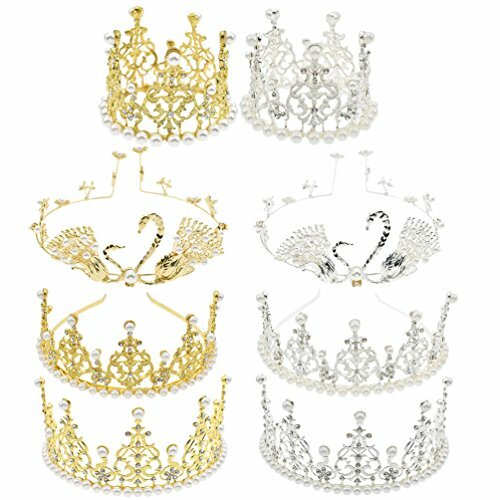 You will receive a gold or silver color metal crown. Size: 8.7″, 6.7″ at the width, 4″ diameter in the bottom. Excellent for weddings, christenings, baby showers. It can be used as a flower centerpiece or a cake topper. Please message me if you have any questions. - Material: Glitter Paper & Bamboo & Bow - Color: Gold.& Pink - Size: Approx. 10 * 2.5cm(L * W). Size: Approx 1.97*1.38 inch (L * W). Material: Paper and wood Color: Gold. Material: Upgrade EVA material, thick glittery cardstock, high quality, firm and durable. Tooth pick length approx. 5.12 inch. Particularly suit to sever on birthday party, baby shower, Wedding Engagement, Valentine's Day, Birthday decorations. Crown molding and glitter sparks design. Creat a romantic atmosphere for your wedding and party. Color: Gold. Material: Paper and wood. Size: Approx. 5 * 3.5cm/1.97*1.38 inch (L * W). 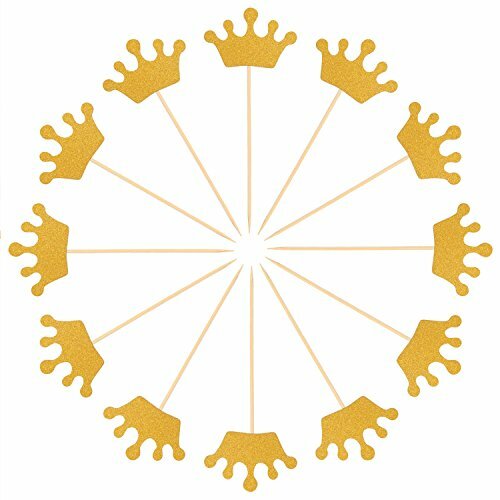 The crown cake topper does not come assembled, need to DIY sticking. It's a great decoration which can decorate your cake, pie, fruit plate sweet table etc. 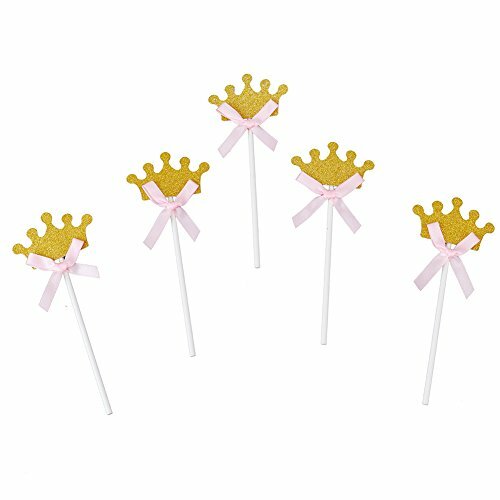 These glitter crown cupcake toppers are particularly choice for cake decorations of wedding, birthday, bridal shower, baby shower, graduation, other theme parties, etc. Color: blue, pink, gold, silver can be chosen. 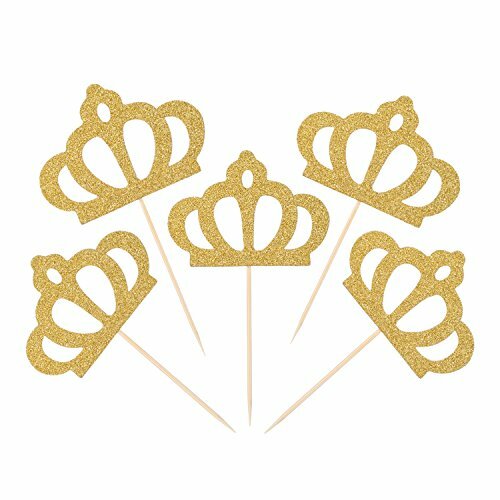 (These crowns toppers are single sided: glitter front, white back). 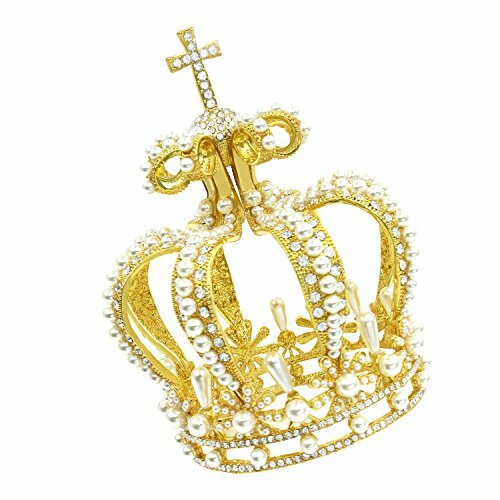 Crown size:4*3cm/1.57 *1.18inch. 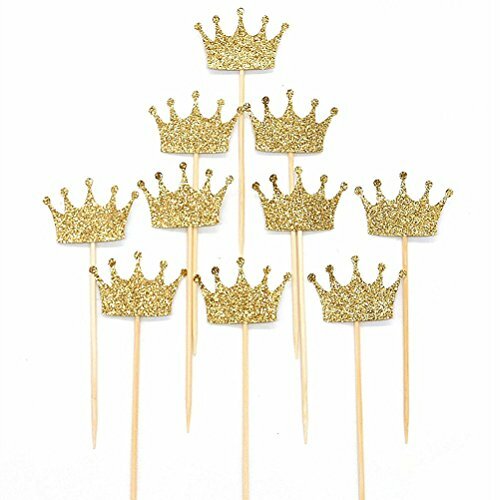 Material: Upgrade and thick glittery cardstock,high quality, single side, no powder shedding,firm and durable.Food safe toothpick. Size: about 2×4.8 inches/5.2×12.2 cm,suit for more cakes and cupcakes,fruit,etc. 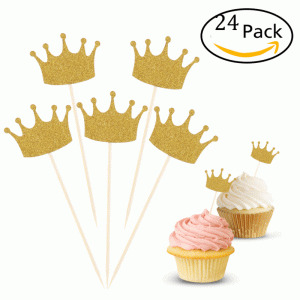 Package includes: 30 Pcs Single side glitter gold imperial crown cupcake picks. Size: Approx. 6.8-inch Height x 5.3-inch Width.Ideal For 6 to 10 Inches Cakes. 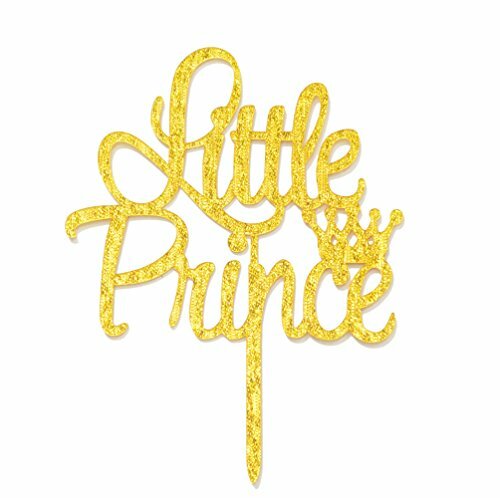 High-quality:Little Prince Cake Topper Is Made of High Quality Acrylic with Shiny Gold. 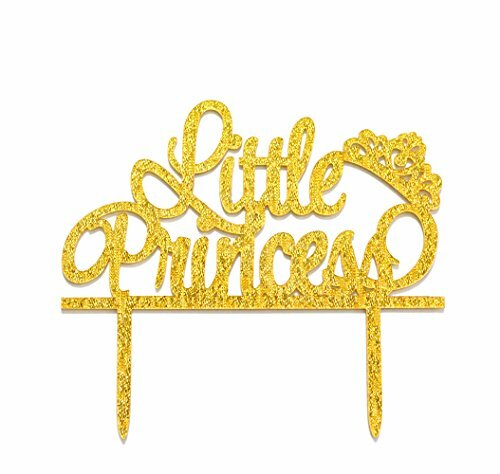 The Little Princess Cake Topper Is Especially Used to Celebrate Baby Girl's Birthday Party, Baby Shower, Gender Reveal, Wedding, Anniversary. 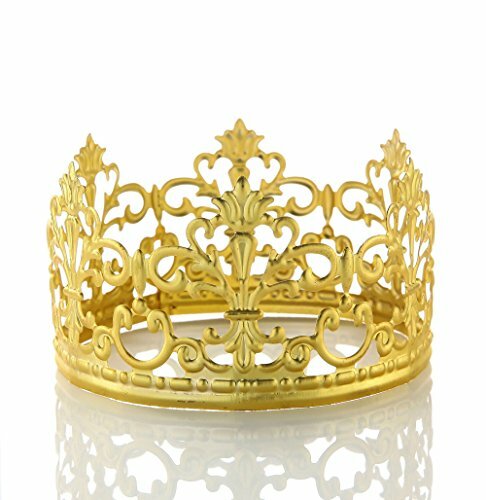 Pick length: 10cm Crown width: 4cm Gold Royal Crown with tiny bow-knot lovely design. 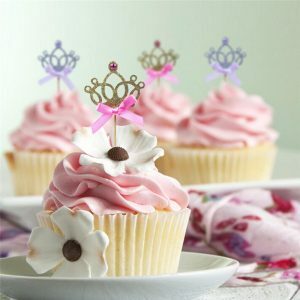 Be used baby shower party supplies, cake decorating supplies for kids, girls and boys, princess cupcake toppers. The lovely biton advantage: join the 100 thousand+ party by our leading design. 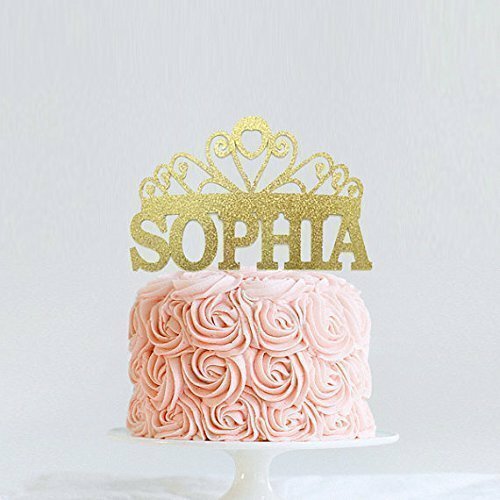 High-quality: premium quality gold glitter stock gives a heavy duty feel and prevents shedding from the "one" birthday cake topper lettering. 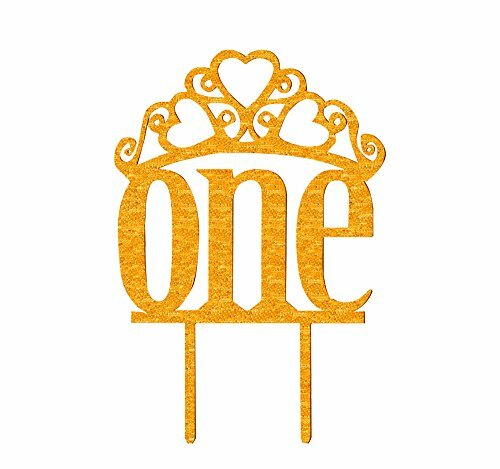 The one: a perfect gift for your sweet heart birthday party, add sweet touch to your sweet heart party and make everlasting memory. 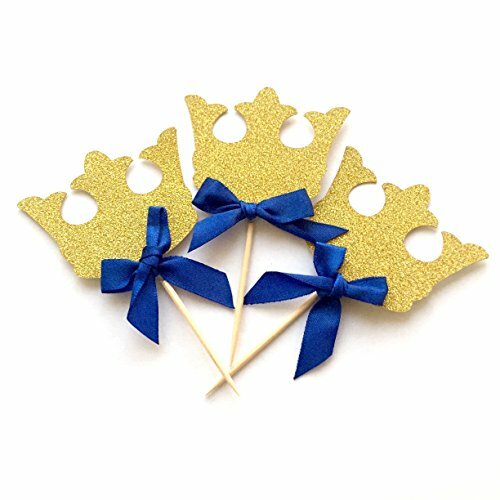 These Gold blue crown toppers will look gorgeous on top of all of your party treats!! Great for prince theme parties,bride to be,prince birthday party,Prince Baby Shower,Gender Reveal ,Wedding Anniversary or celebration. !They will make your home made or store bought cupcakes look like a million bucks. 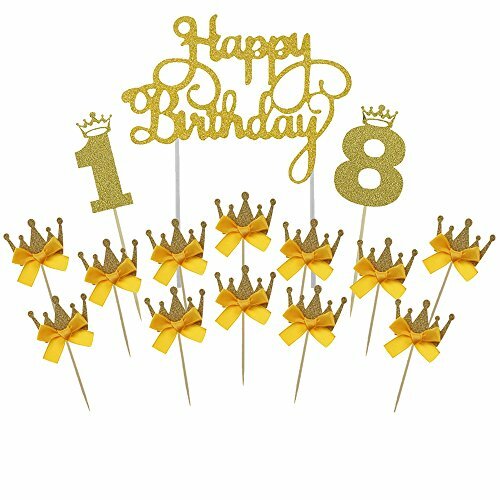 Set of 24 pieces, 12 pieces each blue glitter and gold glitter crown topper Crowns are approx 1 1/4 wide and 1 inch tall ,Entire Topper measures: 3.5"
UNIQUELY DIFFERENT - Forget the generic 15's you see everywhere, make your 15th birthday special by being different! Uniquely designed for you! GENUINE CRYSTALS - Uses the best quality rhinestone crystals, making sure it sparkles and shimmers at its maximum level! QUALITY AS ITS FINEST - Made with full metal alloy coated in industrial strength chrome, making sure you get the best quality topper possible. 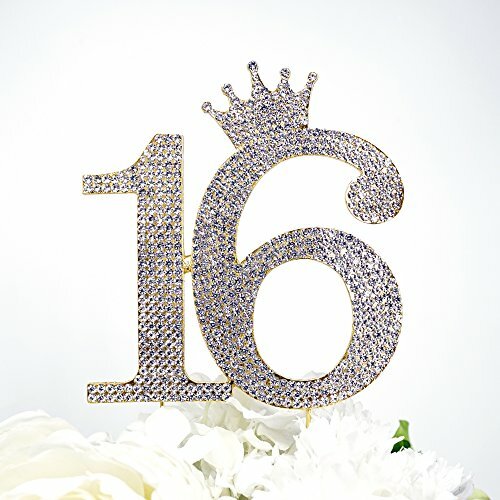 UNIQUELY DIFFERENT - Forget the generic 16's you see everywhere, make your 16th birthday special by being different! Uniquely designed for you! GENUINE CRYSTALS - Uses the best quality rhinestone crystals, making sure it sparkles and shimmers at its maximum level. QUALITY AS ITS FINEST - Made with full metal alloy coated in industrial strength chrome, making sure you get the best quality topper possible. High quality bamboo stick and paper tops. Non-toxic and safe for cake decorating use. 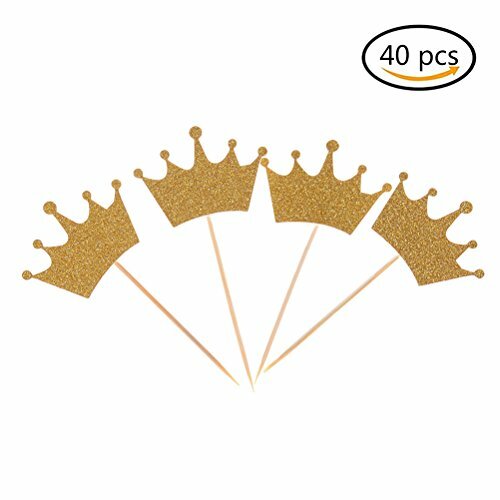 Crown shaped design with glitter color. Make your cake decoration more pretty. Perfect cake picks for birthday, wedding, engagement, dance party and other occasions. 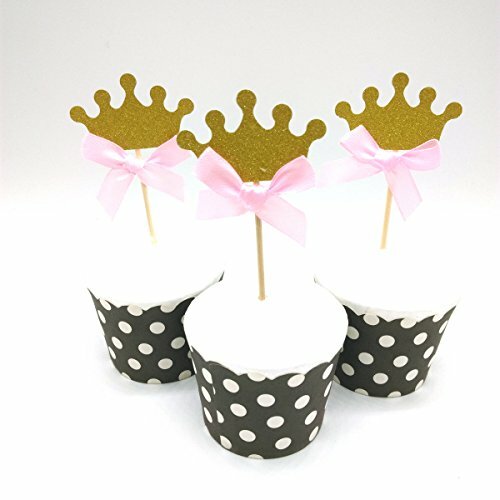 Crown shaped design with glitter color. Make your cake decoration more pretty. High quality bamboo stick and paper tops. Non-toxic and safe for cake decorating use. Perfect cake picks for birthday, wedding, engagement, dance party and other festival occasions. 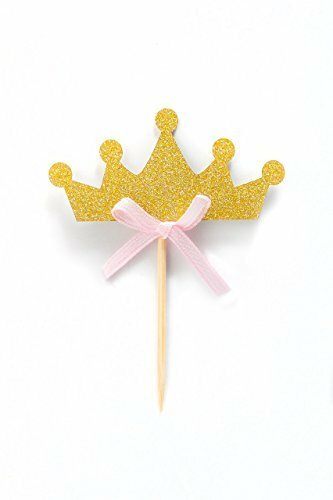 Pensoda Gold Vintage Crown 1st Birthday Cake Topper Baby Shower Bridal shower Supplies Party Cake Decorations Premium Quality Crown Metal Crystal Tiara. 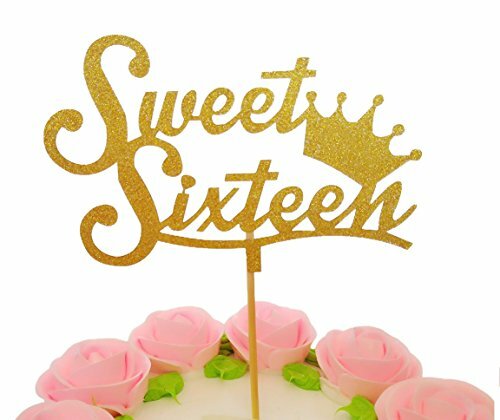 Gold Cake Topper: Perfect crown on a birthday cake, wonderful for baby shower, little princess first baby pictures, bridal shower, quinceanera, and fancy dress dance party decoration. Cute But Luxury: It is small and cute, the approximate measurement of topper is 3.6 inches diameter and 1.6 inches height. Each product is made from metal base( zinc alloy) and shinny crystal which would be heavier then the other same size products. The quality is vintage and the appearance is Luxury. When you put it at hand, we are sure you will find it not just a cake topper while a apple in your eyes. Not only a gift but also all our best wishes. Material: Metal Color：Gold High:2.25 inches, Wide:4 inches Not only a cake topper, but also contains blessing for life. This fantastic top of a wedding cake is perfect for weddings, proms, parties , costume, cosplay, photography prop or any occasions you want to be more charming. Material: Metal Color：Gold，Sliver High:2.25 inches, Wide:4 inches Not only a cake topper, but also contains blessing for life. 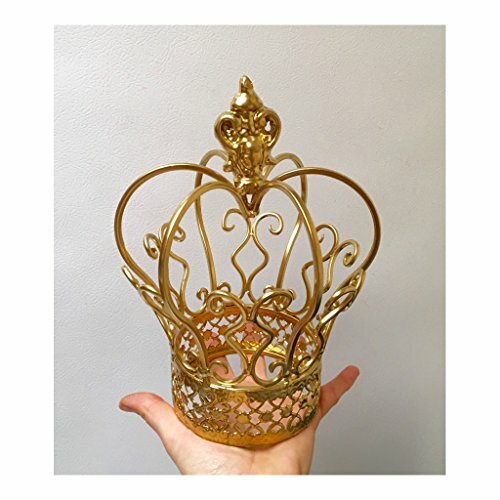 This fantastic top of a wedding cake is perfect for weddings, proms, parties , costume, cosplay, photography prop or any occasions you want to be more charming. 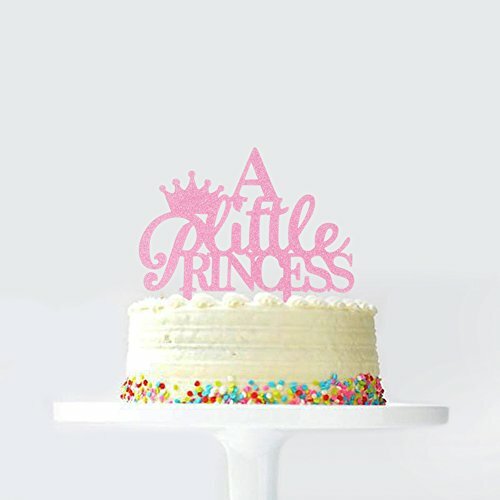 This sparkly cake topper is a most to finish off the cake for your princess party! 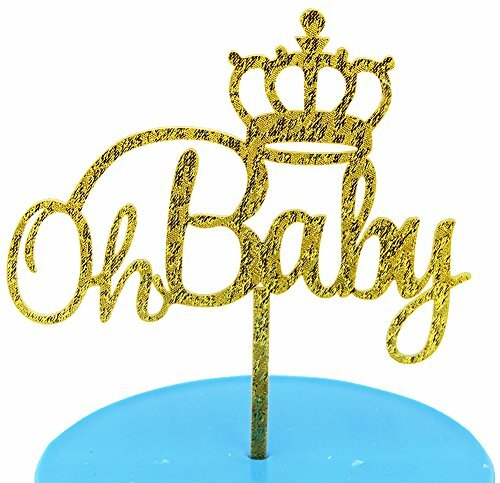 Cake topper can be made with or without the crown/tiara. Customize the name. Topper size: 7.5″w **Size will vary depending on name. Size: Approx. 6.8-inch Height x 5.3-inch Width.Ideal For 6 to 10 Inches Cakes. 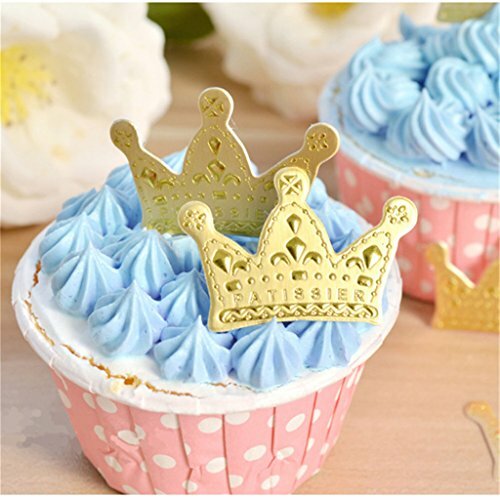 High-quality:Little Prince Cake Topper Is Made of High Quality Acrylic with Shiny Gold. The Little Prince Cake Topper Is Especially Used to Celebrate Baby Boy's Birthday Party, Baby Shower, Gender Reveal, Wedding, Anniversary. SIZE: Approx. 6.9-inch Length x 6-inch Width. COLOR:Bright Gold. 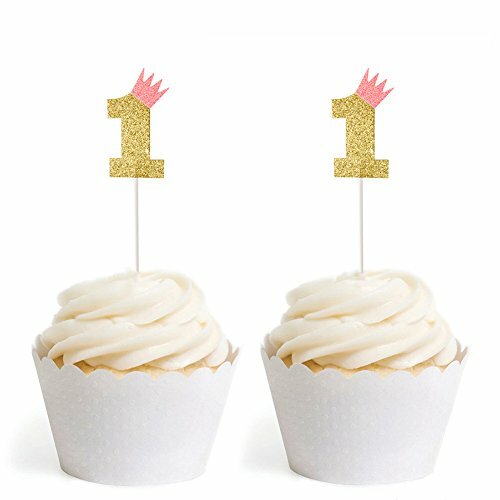 High Quality:Made of Food Safe Acrylic.Cake Toppers Can Be Reused and Handwashed. Ideal For an 8 Inch Cake to Celebrate Your Baby's 1st Birthday! Welcome!! 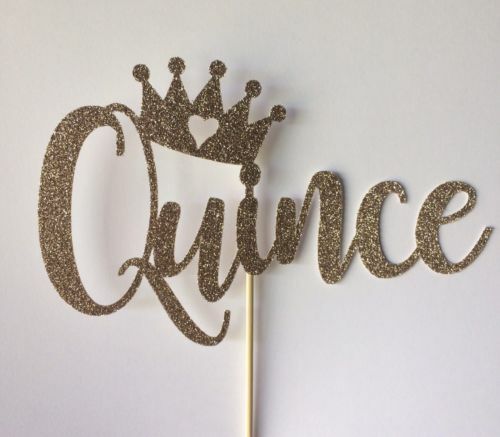 This custom handmade cake topper is created with a sparkling glitter card stock and reads Quince with a crown Measures 6 inches wide Attached to wooden skewer Back is white Thank you! Package includes a total of 32 cake toppers. 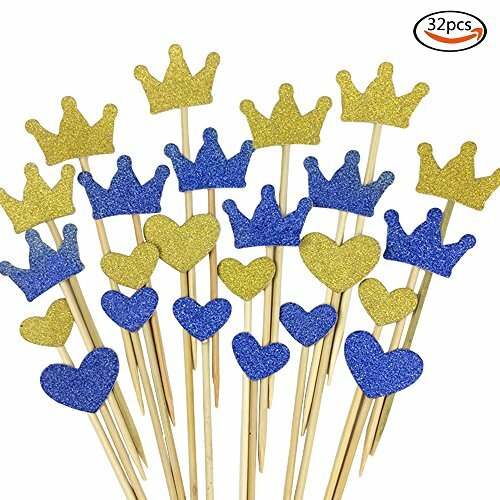 10pcs blue crown toppers, 10 of gold crown, 10 of blue hearts, 6 of gold hearts. 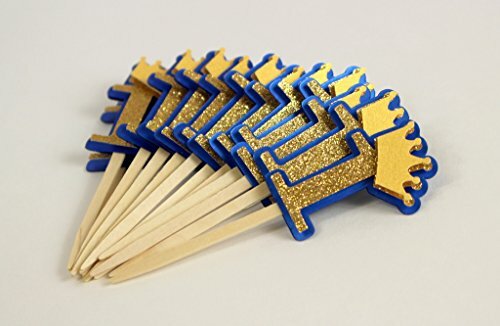 Size: heart: toothpick length - about 4.3-5.3inch, topper card size - about 1-1.4 inch; crown: toothpick length - about 4.5 inch, topper card size - about 1 * 1.5 inch. 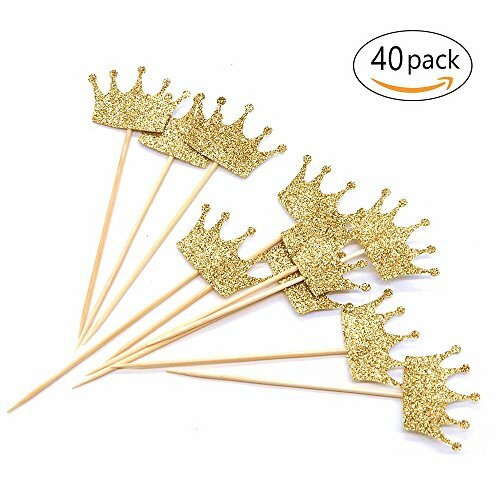 Material: cardstock, toothpick; Crown size: 3x 4cm/1.18x 1.57in; Toothpick Length: 9 cm/3.54in Cake toppers was made with good quality single-sided gold glitter paper cardstock (one-sided glitter,the back is white), no glitter falling off, safe for your cake and harmless for your body. 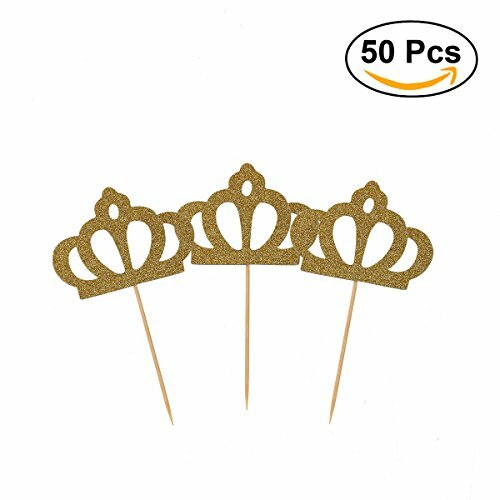 These glitter crown cupcake toppers are particularly choice for cake decorations of wedding, birthday, bridal shower, baby shower, graduation, baptisms, bride to be, wedding anniversary or another special occasion. 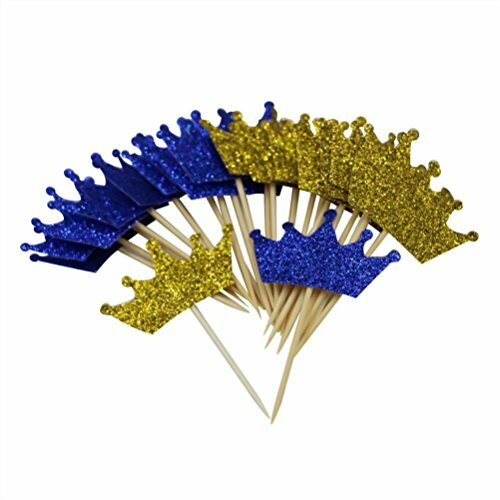 Crown confetti size: Approx. 3 * 1.7 * 0.1cm/ 1.18 * 0.67 * 0.04 inch (L*W*H), small size and light weight. Quantity: a pack of 100pcs double-sided paper confetti meets your decoration needs and DIY crafts demand. 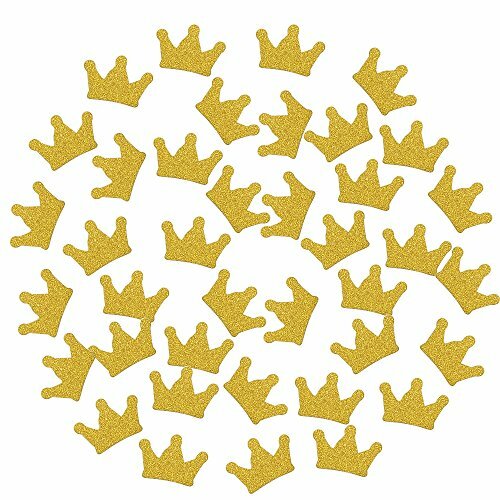 Glitter golden color: crown confetti with metallic texture in glitter golden color, will add joy and cheer to your wedding, parties and other festival occasion. Material: Metal Color:Gold Size:2.25*43 inches It will be a great gift to your baby, girl, lover or friend. Material: Metal Color:Gold/Silver Size:2.25*43 inches It will be a great gift to your baby, girl, lover or friend. 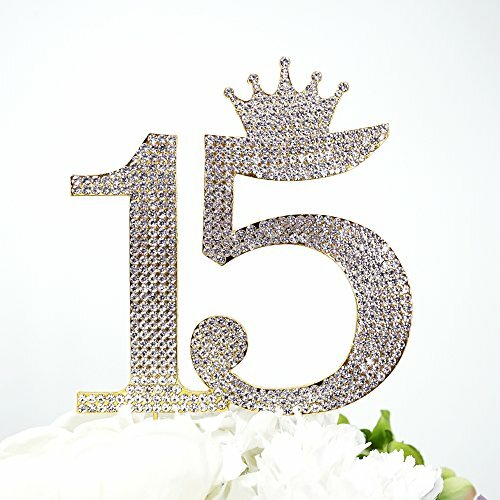 Gold crown bling cake topper is made with genuine crystal rhinestones. 4" Prongs on bottom to secure on cake and for easy of decorating. Material:made of 100% brand and new. Color:glitter gold number 1 with pink crown. Size:(l)x(w)18x4. 5cm/7. 1"x1. 77"(approximately).